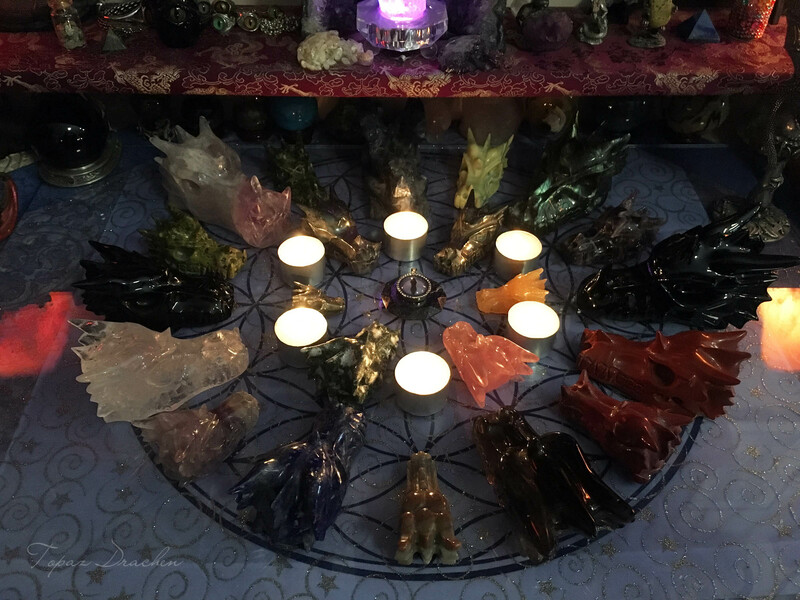 Hopefully on the night of the 6th October I will get the alone time I need to join in with the special worldwide meditation planned for 7:00pm in each timezone and to connect with the Dragons. You can read my blogs for previous WDDs I have participated in at WDD 2014, WDD & Beltane 2014, WDD 2015, WDD 2016 and WDD 2017. 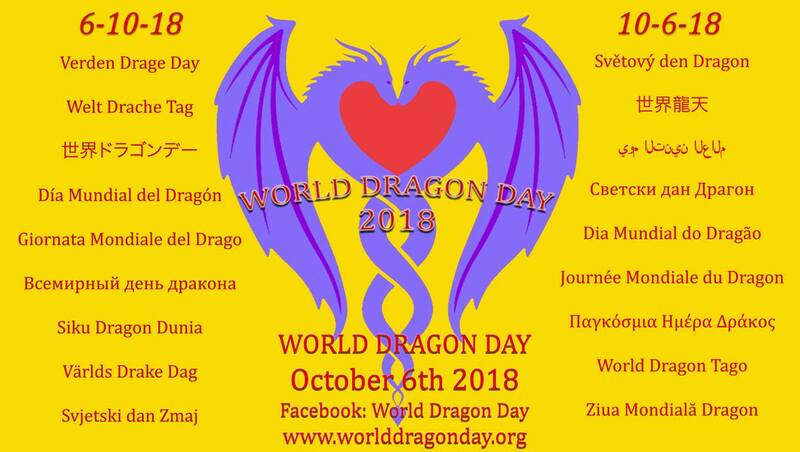 World Dragon Day 2018 is coming close… it’s Saturday 6th of October! We will be having a Worldwide Meditation Wave that you can join that will roll around the Earth… You can join in at 7.00pm your local time – or 19.00 UT/GMT. Feel free to celebrate in your own way! Invite your friends, honour and celebrate Dragons, and have fun! 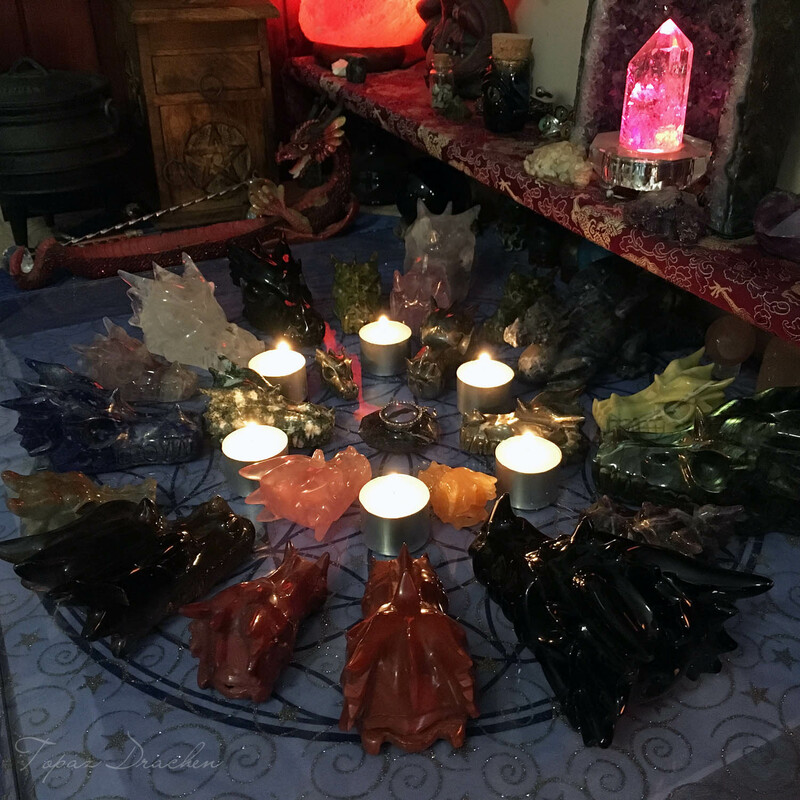 My Crystal Dragon Clan wanted to be arranged in concentric circles with some candles on my altar tonight (in keeping with symbols that had cropped up during a recent channeling session with my Dark Moon circle) so I did as they requested, although the space was a bit crowded with so many in a relatively small space. Tonight at a few minutes past 7PM AEST I sat on my front verandah and looked across the road at the silhouette of the gumtrees against the night sky. 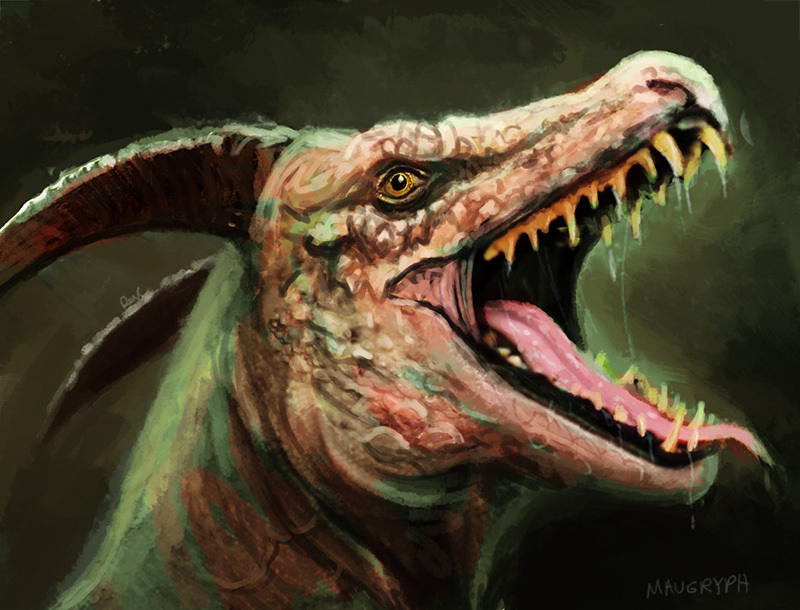 The stiff breeze blowing through them made them look like one huge Draconic being, alive and breathing, with lungs inhaling and exhaling in a rhythmic ripple across its flank. 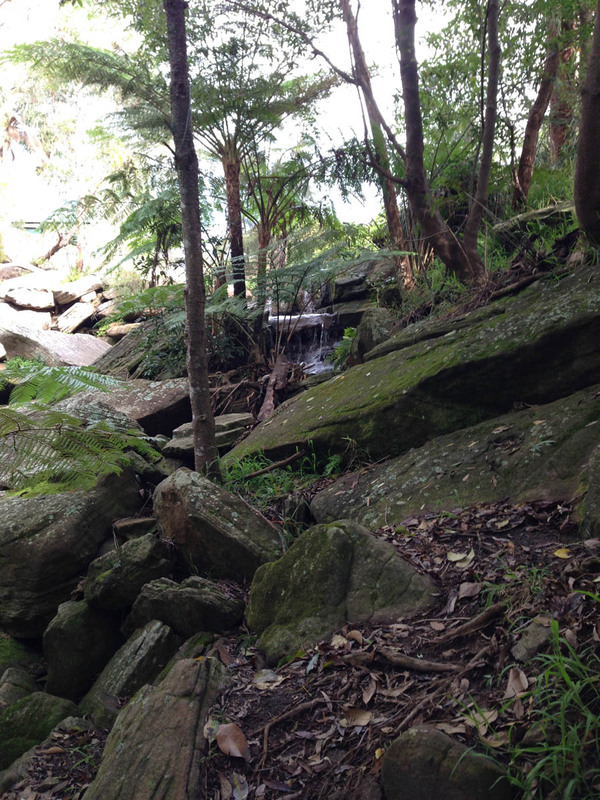 I sat and breathed in the essence of the Dragons, at peace and as one with them. I decided to call to them, to see if more would come, and the breeze picked up and became much, much stronger, swirling around me. I could sense the presence of more Dragons and it was exhilarating! I saw many Dragon faces in the clouds; confirmation that they were indeed present. One opened its mouth and swallowed a passenger jet and I wondered if any of the passengers would have been aware of their potentially shamanic journey of being eaten by the Dragon. I had conversations with the Dragons and asked for advice and help, and revelled in the heady feelings of flying and swooping with them on the breeze. 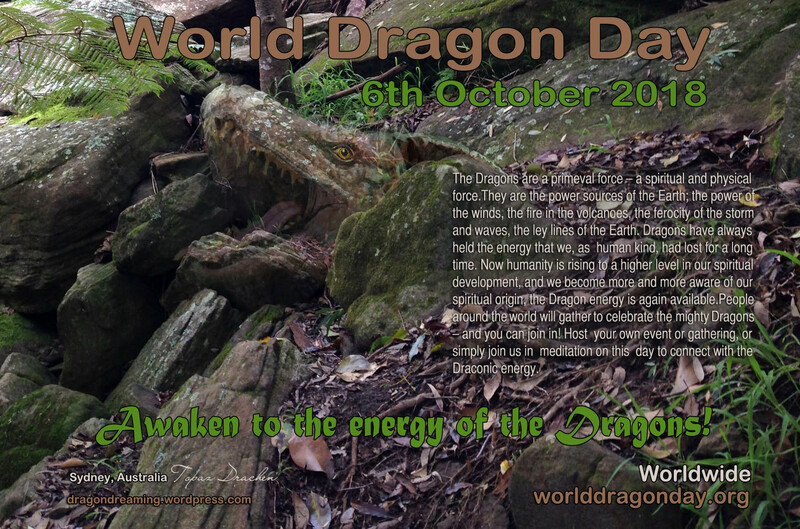 This entry was posted in Dragon Energy, Dragon Magick, Dragon Meditations, World Dragon Day and tagged World Dragon Day.